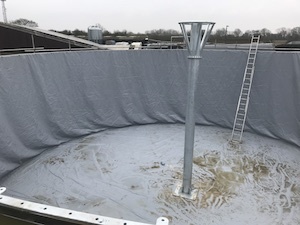 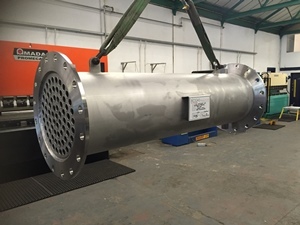 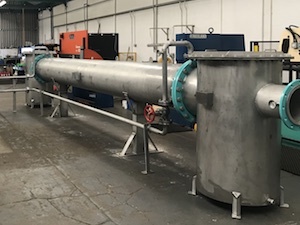 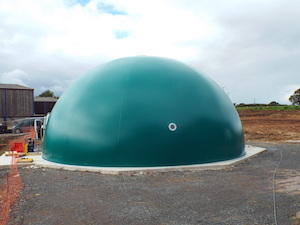 Digester refurb project: To refurbish and convert an existing 14.38m diameter x 4.84m high glass fused to steel section slurry tank into a secondary digester. 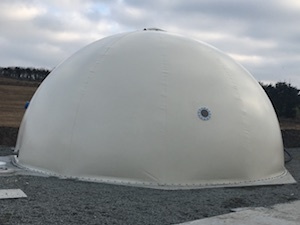 Fristly, we conducted a structural check to ensure the integrity of the tank and its ability to take the extra loads imposed by adding a pressurised gas storage dome. 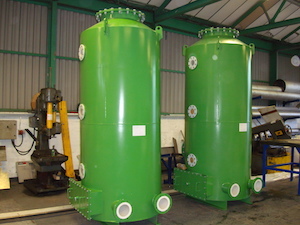 We then cleaned the inside of the tank and the floor with a high pressure water jet. 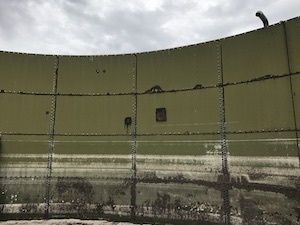 Rust areas and holes were cleaned and repaired and the inside of the tank was coated with red oxide. 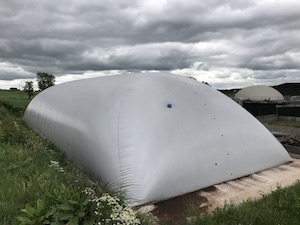 The inside on the tank was lined with a one piece pvc membrane to provide water tightness and a centre post was fabricated and installed to prevent the gas dome from falling into the tank when deflated. 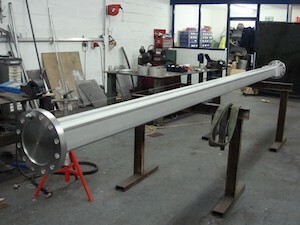 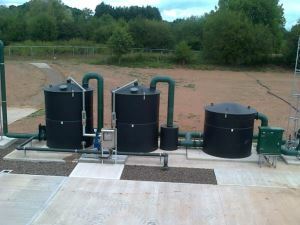 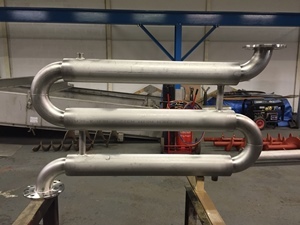 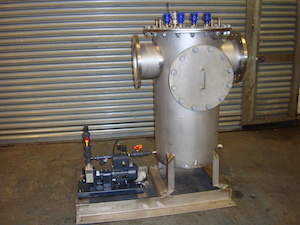 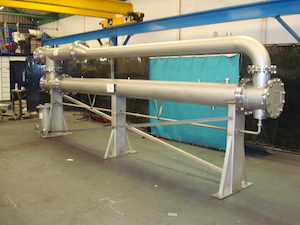 A gas mixing system was installed into the tank to maximise gas production from the digestate during storage. 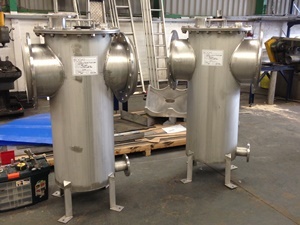 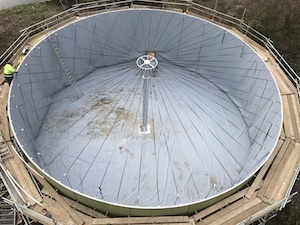 And a double membrane gas holder was fitted to the top of the tank to provide gas storage and a 10mbar operating system. 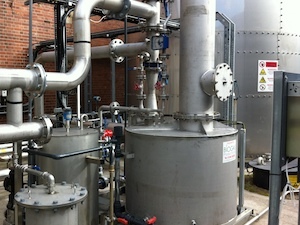 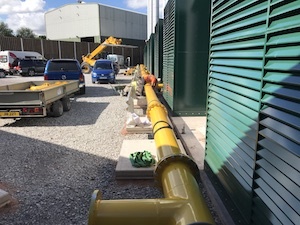 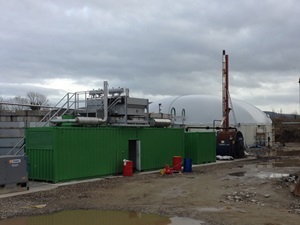 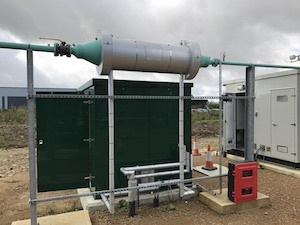 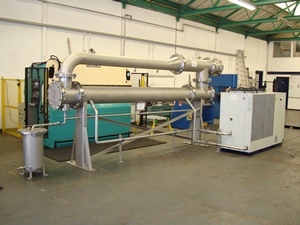 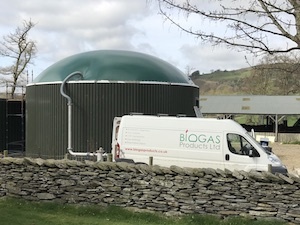 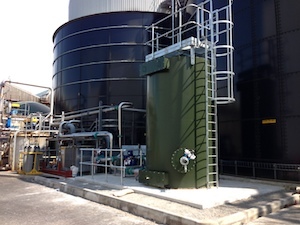 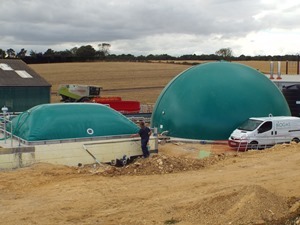 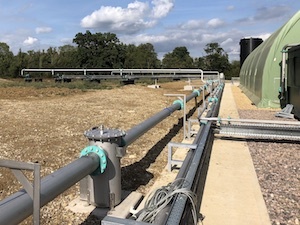 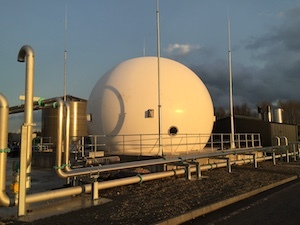 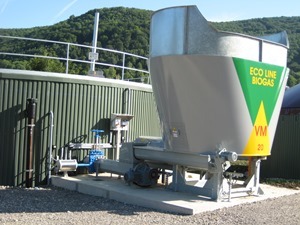 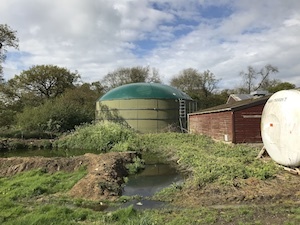 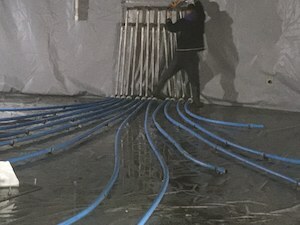 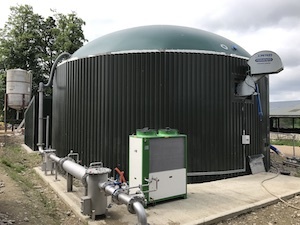 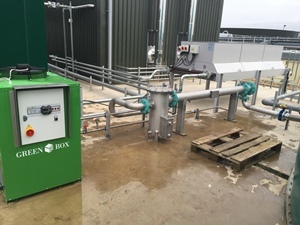 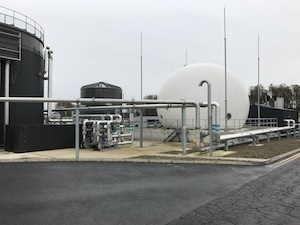 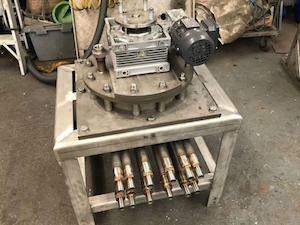 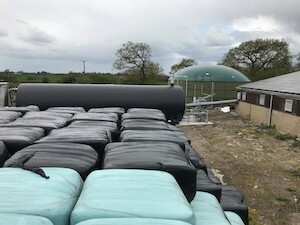 Biogas is then dehumidified and delivered to a CHP Generator which is connected to the grid. 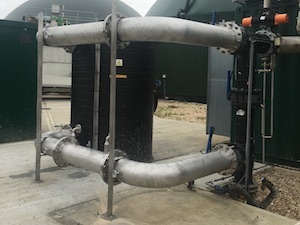 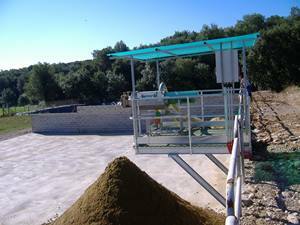 Digester feedstock = grass and chicken manure.